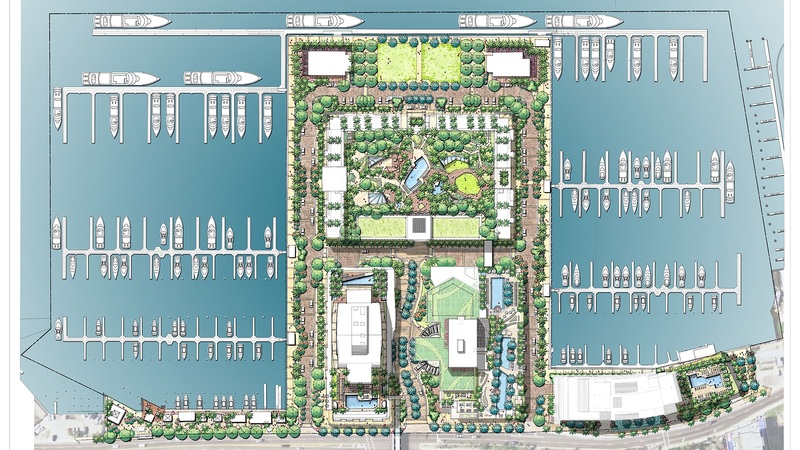 Bahia Mar Resort is a large-scale mixed-use project in Fort Lauderdale which involves construction of a hotel and two elite-class residential towers, as well as reconstruction of an existing hotel and a park with an area of 4 acres. Several new modern towers with ocean views and offices on the ground floor will be located on podiums decorated with lush tropical greenery, offering brand-new urban landscape. The luxurious complex will boast of abundance of pedestrian areas with cozy squares and picturesque embankment along the harbor. Two residential towers – north and south – will rise up for 29 storeys and include 232 luxury residences each. 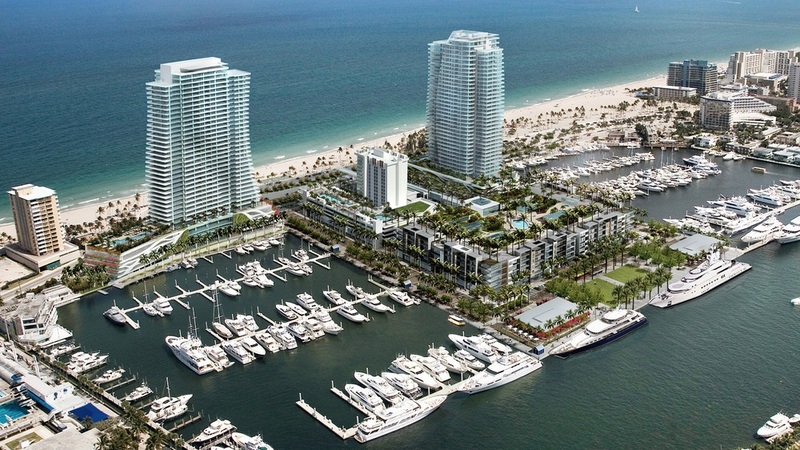 The cost of Bahia Mar apartments will range from $1 million to $2 million.